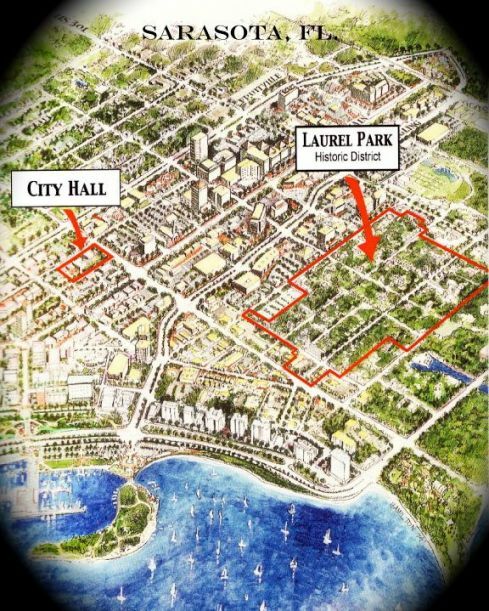 Owen Burns was instrumental in the development of Laurel Park in Sarasota, Florida. He purchased considerable holdings of land in the area from John Hamilton Gillespie and developed Washington Park and the Owen Burns Subdivisions. The Burns & McAlpin Company laid most of the brick streets throughout the neighborhood. Laurel Park was awarded National Register distinction in February 2008.